Our website allows you to find what you need! You can easily view it on a phone, tablet, PC or whatever device you like. We are all about keeping you connected, so click around and explore. If you have any issues or problems with the website, please let us know at communications@rusd.k12.us. 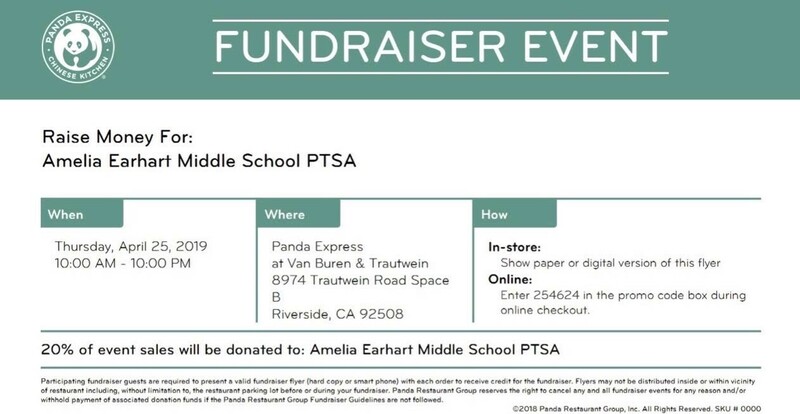 Enjoy yummy food at Panda Express (Van Buren & Trautwein) on April 25th from 10:00am - 10:00pm. 20% of all event sales will be donated to AEMS PTSA. Click here for flyer. Soon all sites will be utilizing a Visitor Management System called Raptor as another measure to help in keeping our schools safe. All visitors will continue to check into the front office, but will have their ID or Driver's License scanned before being allowed to enter the campus for meetings, events, etc. Please click the link to access FAQ about the new Raptor Visitor Management System. Come join us for a free event held at Arlington High School library on April 23rd. At this time, students and families have the opportunity to come together and learn about the different ways computer science and innovation in RUSD is available to them. 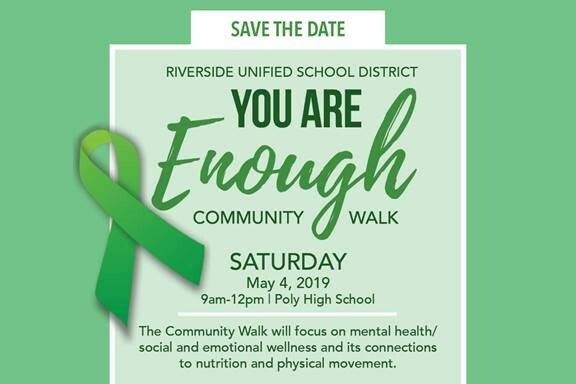 A free conference is being offered for youth girls ages 12-21, along with their female parent/guardian at the Riverside Community College - Landis Auditorium. This event is held on April 27th from 8:00am - 4:00pm. Click flyer below for more information and registration form. Registration deadline is April 24, 2019. I want to take this opportunity to welcome you to the 2018-2019 school year! I am eagerly anticipating a successful and enriching year and I look forward to working with the dedicated staff, parents, and community to provide a ‘World Class’ educational experience for all of our Earhart students. For those of you who I have yet to have the pleasure of meeting, please allow me to introduce myself. I have spent past 15 years as an administrator in RUSD and 12 of those years as principal. I have had the pleasure of serving the Earhart community the past four years and continue to be amazed at the support and commitment we have from our community. It is my vision that all students can achieve success with the support of all stakeholders involved. It truly takes a village to raise, mold, and prepare our students and your support and input is truly invaluable. I recognize middle school can signal feelings of both excitement and anxiousness, and I thank you for entrusting your children to the Earhart staff. We do not take lightly our responsibility in ensuring your children experience a highly-engaging educational experience in a safe and nurturing environment, and we are honored to partner with our families as they embark on the exciting and rewarding middle school journey. I am excited on what I know will be an exciting and rewarding school year. Those who know me know that I truly have an open door policy, and I welcome your questions, concerns, and input at any time. Girls Volleyball try-outs will be held on May 20-24 from 4:00pm-6:00pm. You must have a physical form to try out. Click here to see flyer.